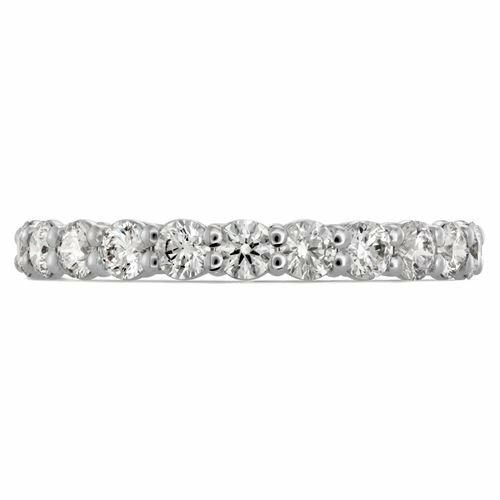 This romantic diamond eternity band is completely encircled in perfectly cut diamonds. The true beauty lies within, however, as impressions of hearts lie hidden behind each diamond to tell a secret story of true love. The perfect ring for a wedding or anniversary, or even for stacking with your other favorite Hearts On Fire rings! 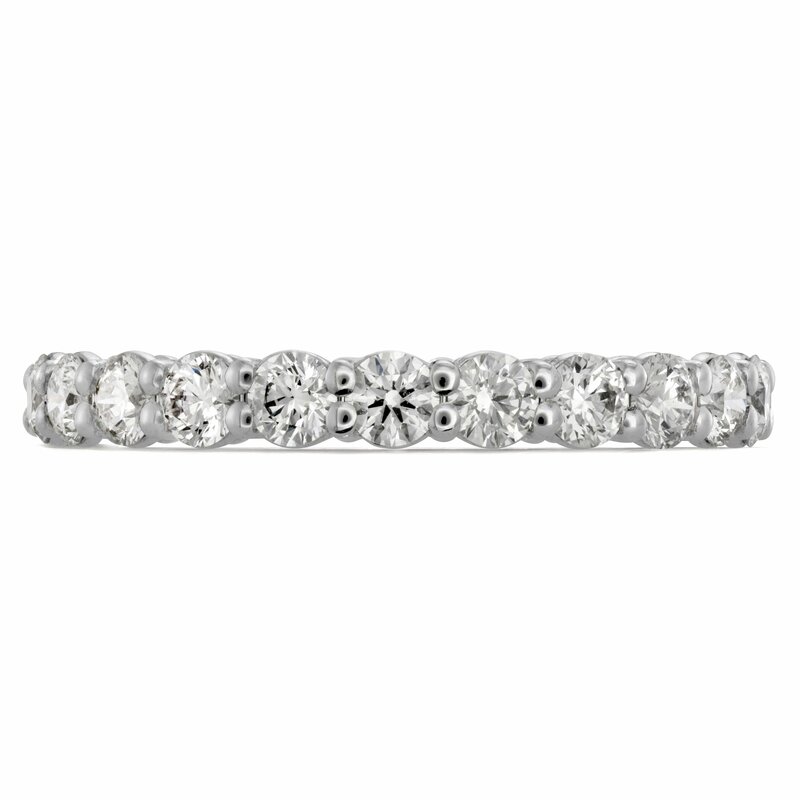 Available in a variety of carat sizes.